Melatonin, a hormone that induces sleep, is sold as a dietary supplement. 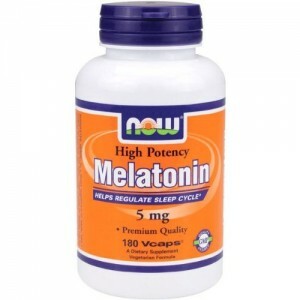 Research has shown that supplementation with melatonin can help you fall asleep faster, and sleep better. I support NOW Foods because they have a pristine reputation for making high-quality products free of unnecessary chemicals and additives, and their products are very affordable. They choose to put their money into manufacturing good products instead of fancy marketing campaigns. The clinically effective dosages range between 3-6 mg, and it is usually taken about 30 minutes before bed.